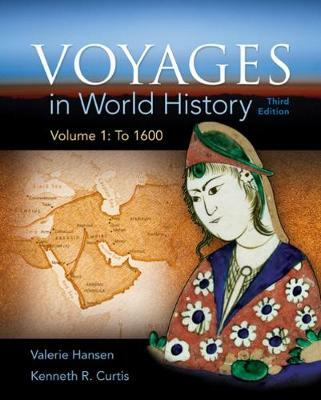 The authors of VOYAGES IN WORLD HISTORY never forget that history is made up of the stories of people. Each chapter of the text centers on a story -- a traveler's account that highlights the book's main theme, the constant movement of people, goods, and ideas. The travelers include merchants, poets, rulers, explorers, soldiers, missionaries, and scholars, and their voyages provide a framework for each chapter that will draw you into the intriguing stories of world history. Special features help you make connections across chapters, societies, and time periods as you explore the people, places, and events crucial to understanding world history and its global context. The print text integrates with MindTap, which includes an interactive map application that will transport you virtually to the locations each traveler visited. Available in the following split options: VOYAGES IN WORLD HISTORY, Third Edition Complete, Volume 1: To 1600, and Volume 2: Since 1500.